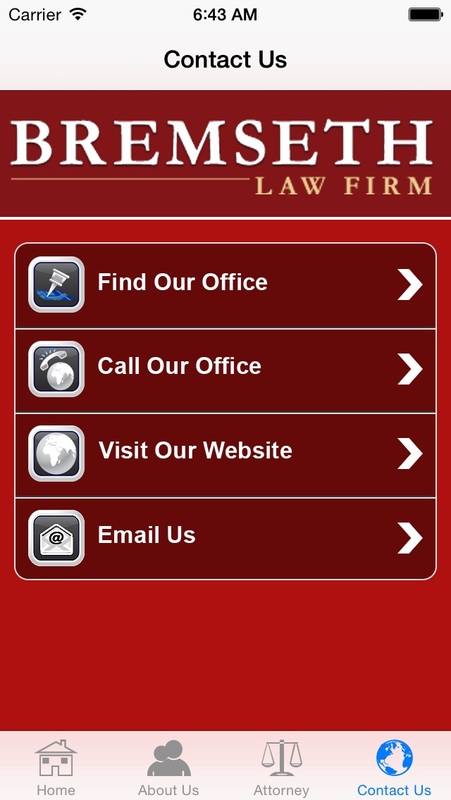 Why download the Bremseth Railroad Accident App? The Accident Application is one of those things you don’t think you will ever need, until you do. And when you do, you’ll be glad you took a few seconds to download it. 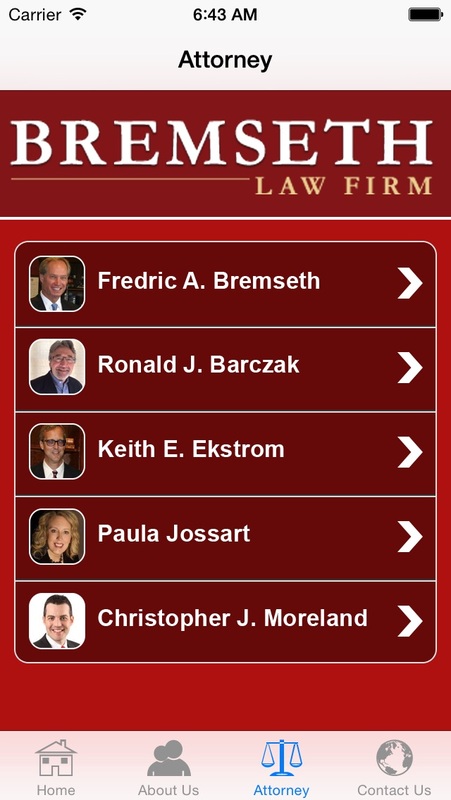 The Bremseth Accident App provides straightforward to-do’s, fact and evidence gathering tools to ensure you or your loved one are informed and protected when a injury happens on the job. None of us like to think about it, but accidents do happen and we are here to help. 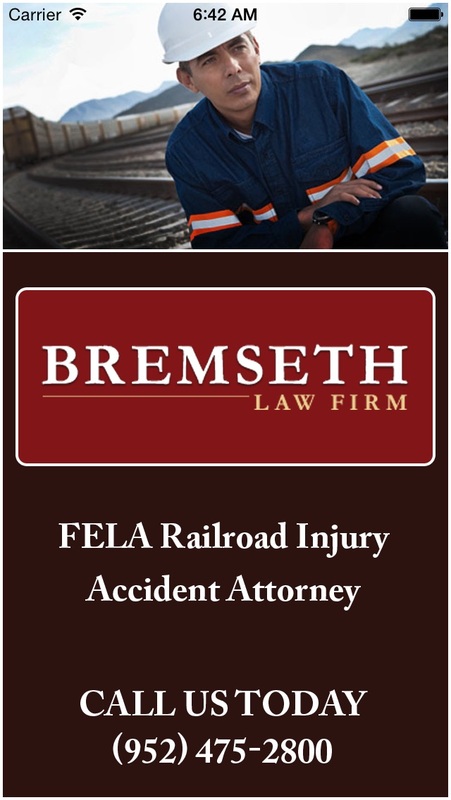 The Bremseth Railroad Accident App features: - Camera, video recorder and text notepad provide all you will need to record all of the pertinent data about any moving vehicle accident. 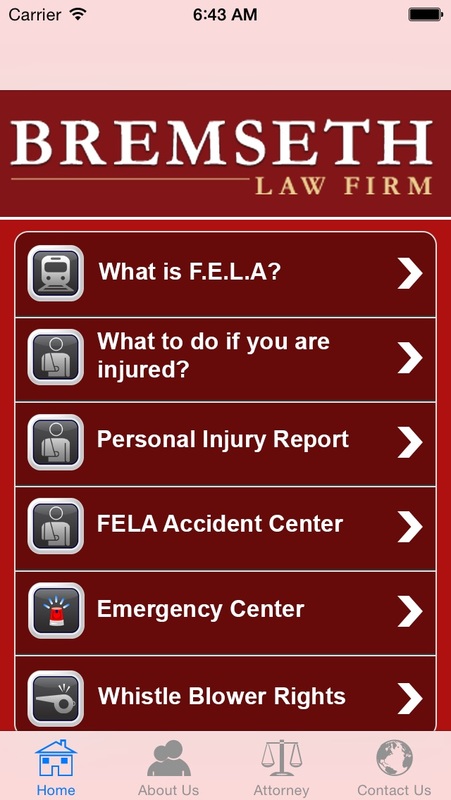 - Education on what your rights are under FELA and the FRSA - Your railroad Personal Injury reports to show you what your managers will be asking. - Time saving forms to clearly collect accident information from the other parties (drivers, witnesses, passengers etc.) - Automatic GPS locator which aides in recording critical accident facts. - Emergency Services Locator. Helps you find the closest hospital and other key places.